Enhance the experience of an Alpha show by adding in a workshop. We divide your group of children into 4 groups and rotate around so that everyone gets a chance to experience everything. Alpha’s visits at a school are all too short! By adding a workshop into your show booking, it means we can spend more time at your school, interacting with your students and having an influence in ways not possible with just the show. Your students will get to know us a little more, and be inspired by our leadership and the example we set as human beings. They can ask questions and get ideas for their future. And they can have more fun with us as they learn and experience the wonder of theatre and our shows. Below is a sample of some of the activities we might run with your students. 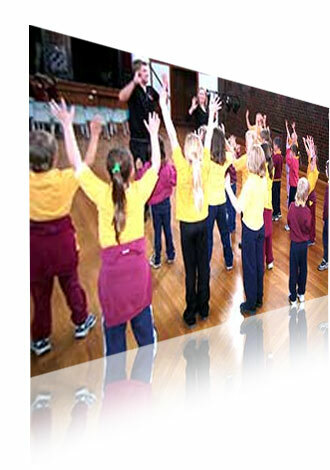 Each workshop is customised to your school and the specific show. Book a workshop as part of your show booking today! Call 03 9999 6060 now.